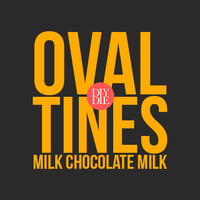 I'm a big fan of the Ovaltine drink. Loved it as a kid and still enjoy it every now and then. This brought back memories. It's not spot on but it's real close. The mouth feel is spot on to the drink. This makes the cut and will go in my rotation. This is great! I had my doubts since I’ve played with Australian chocolate with terrible results, at one point nearly chucking it in the trash can! Amazingly milky, creamy chocolate- this is it! ok, maybe the marshmallow was old, or its just me, but I expected the chocolate to slap me I the face or at least lick my nose, …. naaaaathin, very faint, I couldn't make any chocolate out, I bumped the AC up to 1.5 and added .25 FLV Milk CHoc, now I got chocolate syrup that I can taste, its milky too. anyway I might be doing it wrong, …...I put this out there in case anyone else has the same reaction.